LaShyra Nolen has added a Fulbright Scholar to her growing resume. Nolen, Loyola Marymount University’s student body president in 2016-17 who earned a bachelor’s degree in health and human sciences, won a 2017-18 Fulbright award to work in Spain. Nolen will teach English and work on public health initiatives in Galicia, a rural community located in the northwest region. She attributes the ample opportunities she participated in at LMU as contributing to her competitiveness as a Fulbright applicant. “I had an amazing experience studying abroad in Madrid my junior year,” Nolen explains, adding that she taught an intermediate-level English class and was an English tutor in a homeless shelter. She found that teaching and explaining concepts to students was a useful skill to hone for her future profession as a medical doctor, when she would have to explain science to patients. As a member of LMU’s Belles Service Organization, she volunteered with Good Shepherd Shelter ­– a domestic-violence shelter in Los Angeles – since her freshman year. Through the Clinton Global Initiative University, Nolen was awarded funds to teach a weekly, two-hour health and nutrition class at Good Shepherd. “This gave me hands-on experience as to how I can use my education to impact the lives of others,” Nolen says. She decided to run for student body president after noting there was only one student of color on the preceding board. According to Nolen, some of the notable accomplishments she and her team achieved included a very diverse student government body and expanding the number of student representatives to 21 from 11, based on constituency group. 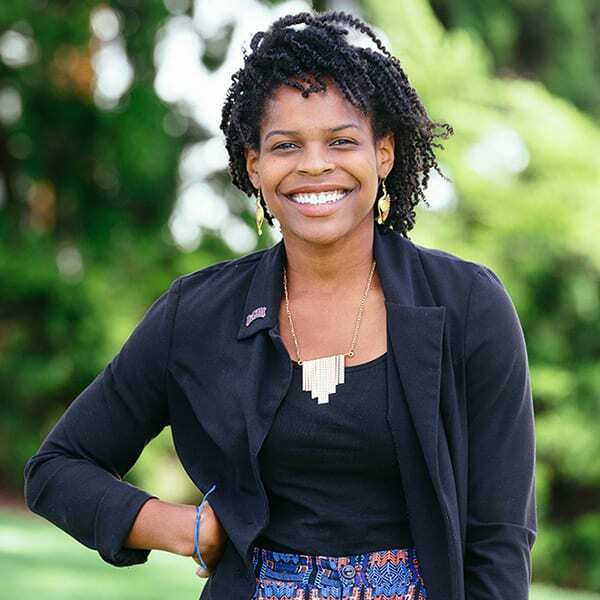 For students seeking to run for future student government positions, Nolen and her team also eliminated campaign costs to “create more equity” among candidates. Before heading to Spain in September, Nolen will travel to Connecticut to participate in an MCAT preparatory program for minority students interested in the sciences. She’ll take the MCAT in August.